Home / Water activities / luberon / Au Fiéu de L'Aigo - A.F.D.A. Rental of canoes and kayaks. 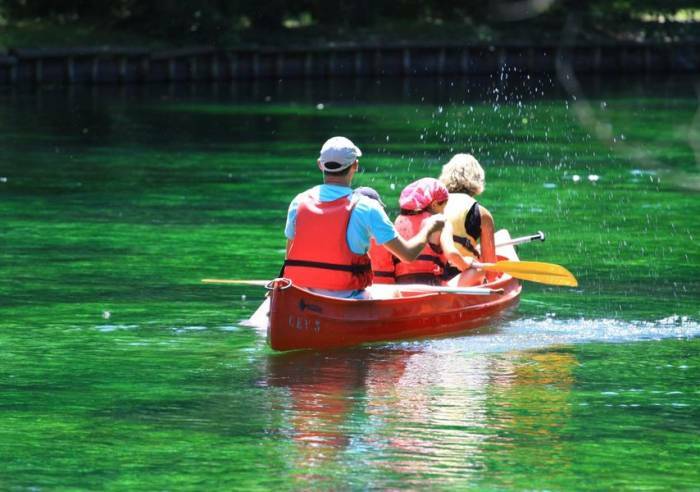 Paddle down the beautiful Durance river and see wild birds along the way. Two trips – one is 8 km and the other 18 km. Please reserve over the phone. - 1 8-km trip which goes from Cadenet to Lauris. This trip takes about an hour and a quarter. Accessible over 6 accompanied by adults. - 1 18-km trip, which takes you from Puy Sainte Réparade to Lauris. Full of fun and sporty sensations. 3 hours of paddling. This trip is accessible to children over 10 accompanied by adults. Canoes are for 2 to 3 persons. Experienced paddlers can choose to use kayaks. Life jackets and waterproof drums are supplied for both kayaks and canoes, for a fun, safe trip.